Climate change is progressing faster and faster. It is already hitting the people in the Global South, who contributed the least to its emergence, particularly hard. 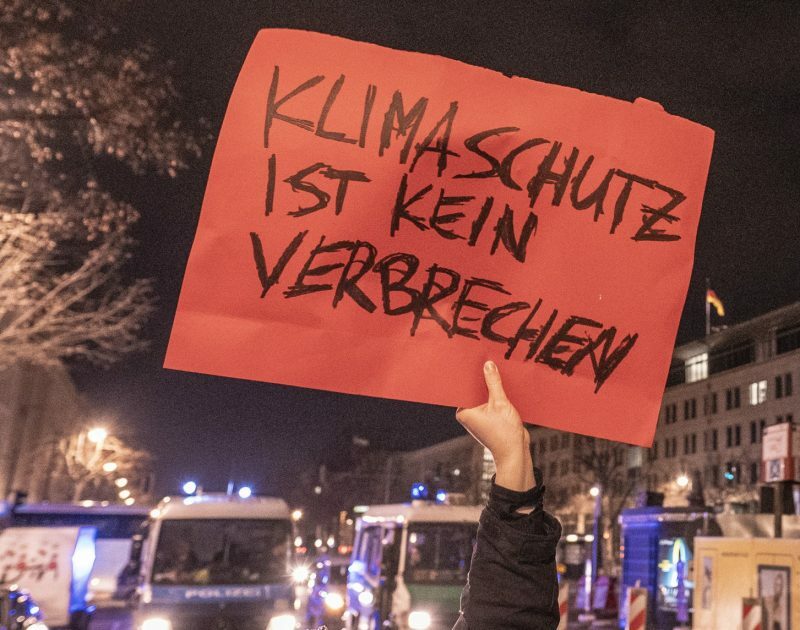 But even Germany is not immune to climate change, as we saw in the drought of 2018. But unfortunately this is only the beginning. In the next 20-30 years we will exceed tipping points that can no longer be reversed. We can still prevent the worst by taking immediate action to create a free and just society that not only values work and consumption, but also relationships between people, a true contact with nature, art and love. But politicians are asleep and we remain on a destructive course. The proposed solutions are ridiculous, far too slow and in no way sufficient to counter the climate crisis. The “coal compromise of the Coal Commission” (quote from our arrest warrant) is the perfect example. For years there have been demonstrations, signatures and rallies. And what happened? Almost nothing! That is why we have joined forces and occupied coal excavators, which is why we are now being accused of trespassing – a trivial offence in the words of one of our magistrates. But as politicians are starting to sweat, the state reacts with all its harshness. The detention on remand was ordered because of our refusal to give the police our identity. The Cottbus Local Court is obviously acting politically and trying to set an example. In this way, the climate justice movement is to be intimidated and subsequent actions prevented. This is a scandal that we will not tolerate! The refusal to give the police our identity is also a political act. Of course we could simply reveal our identity and be released from custody after 3 days at the latest, but a passport or residence status should not be a criterion for political work. By denying identity to many people who would not be harmed by revealing their identity, those people whose identity is worth to protect can also take part, for example people who do not have a secure residence permit. Climate justice is about solidarity with people who are less responsible for the climate crisis but who suffer much more from it. The fact is, we are destroying the livelihoods of billions of people and animals. And our policies do not oppose this and continue as before. But slowly the government is collapsing and the time has come to increase the pressure. Coal exit is manual work and we need it immediately! Don’t let yourself be intimidated, continue to occupy brown coal infrastructure or do whatever else you can. Together we will create a climate of justice. Stay strong and keep fighting! Ps. : We are very happy about letters to us in the JVA Cottbus prison!